Jones-Emberson 1 (PK 164+31.1) is a planetary nebula in the constellation Lynx at a distance of 1600 light years. It is a larger planetary with low surface brightness. The 16.8-magnitude central star is a very blue white dwarf. 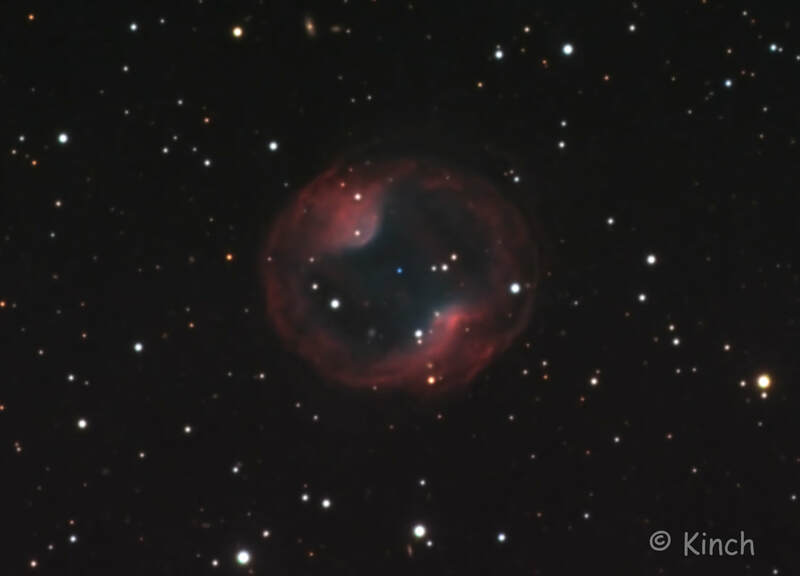 The bubble of expanding gas pictured above (the planetary nebula PK 164 +31.1) is the remnants of the atmosphere of a Sun-like star expelled as its supply of fusion-able core hydrogen became depleted. Visible near the center of the nebula is what remains of the core itself -- a blue-hot white dwarf star. 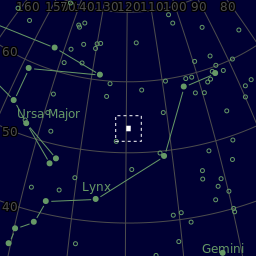 Due to its faintness (magnitude 17) and low surface brightness, the object is only visible with a good-sized telescope. Although the expanding nebula will fade away over the next few thousand years, the central white dwarf may well survive for billions of years -- to when our universe may be a very different place. 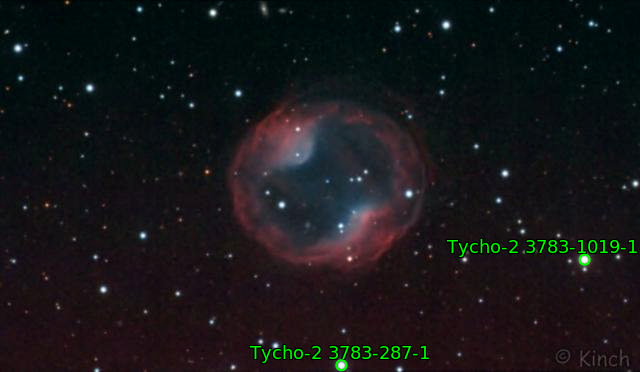 Discovered in 1939 by R. Jones and R. Emberson, it's "PK" designation comes from the names of Czechoslovakian astronomers Luboš Perek and Luboš Kohoutek, who in 1967 created an extensive catalog of all of the planetary nebulae known in the Milky Way as of 1964. The numbers indicate the position of the object on the sky. 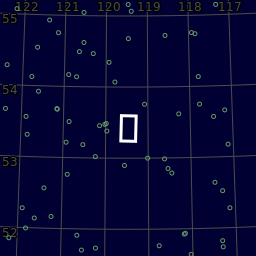 ("PK 164+31.1" basically represents the planetary nebula that when using the galactic coordinate system has a galactic longitude of 164 degrees, a galactic latitude of +31 degrees, and is the first such object in the Perek-Kohoutek catalog to occupy that particular one square degree area of sky). Center (Dec, dms):+53° 25' 02.024"